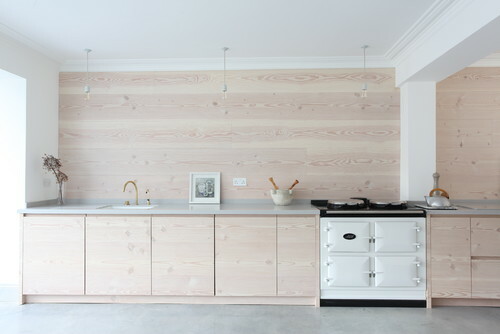 Clean lines, decluttered spaces and simple styling are what is resonating in interiors today. Add in light, warm wood tones, a neutral palette, and functional furnishings and you have the modern, yet warm hallmarks of a space that embraces Scandinavian design. 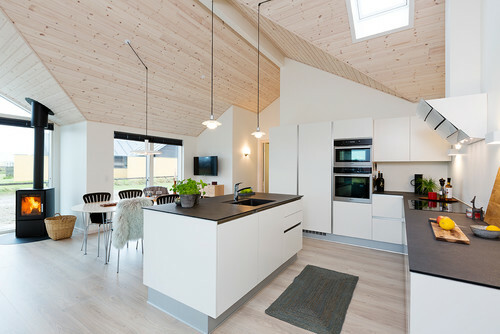 Scandinavian design almost always showcases white interiors. 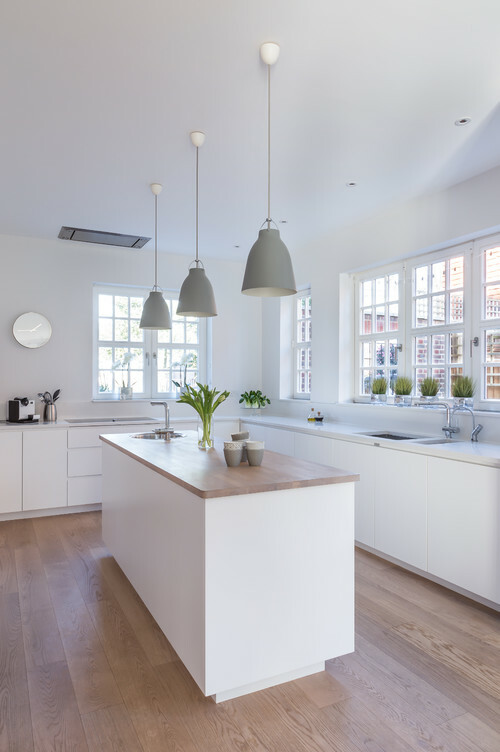 The white brightens the space which is so important when dealing with the long, dark winter. Add in light tone wood in either the cabinetry or floors to add texture and warmth. Keep accents to a minimum for a clean and uncluttered feel. Add texture by using natural elements such as greenery to bring the outdoors in. 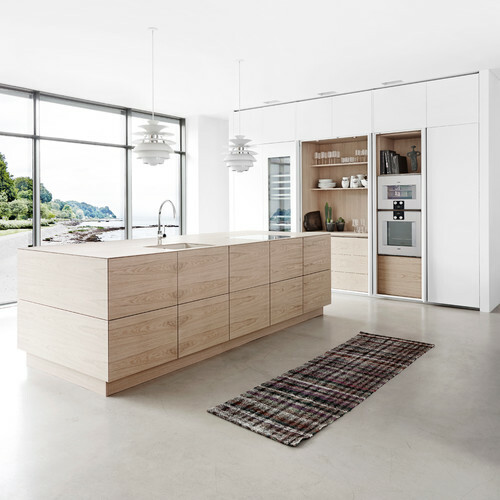 In the Scandinavian inspired kitchen the door style should be simple, a slab or flat panel door without ornamentation. While the color palette should be dominated by whites and natural toned woods, the addition of dark blue, dark green, icy blues and moss green bring the colors of nature indoors. 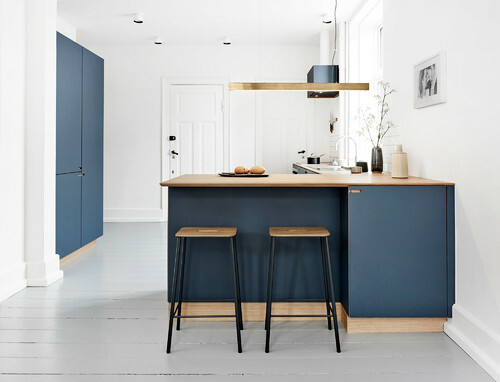 Instead of opting for the all white palette, this Scandinavian kitchen adds a dose of deep blue. 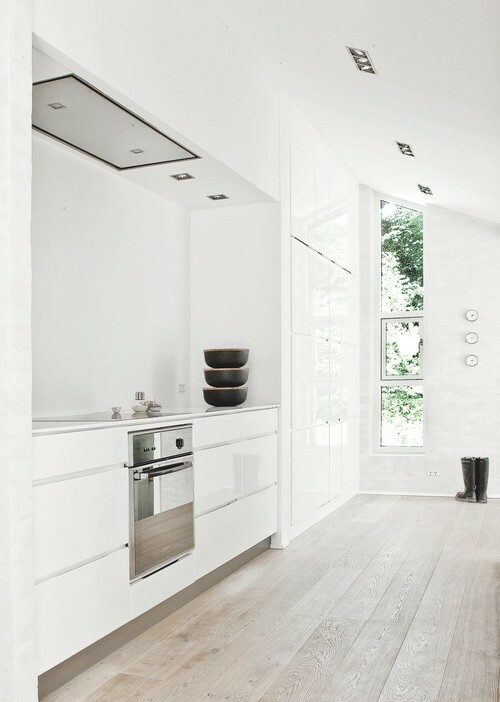 The warm wood accent and the minimal styling makes this kitchen a shining example of the elegant simplicity of Scandinavian style.